The second annual Cardinal & Gold Classic Water Polo Tournament took place July 14-15 at Hucht Pool on the campus of Calvert Hall College High School, Towson. The tournament, which showcases area water polo teams, featured 11 teams again this year in two age brackets, under 18 and under 15. Teams traveled from Annapolis, Washington, D.C., New Jersey and Pennsylvania to participate along with three teams from the Cardinal & Gold program and a newcomer to the local water polo scene, the Greater Baltimore Water Polo Club. This year, the Cardinal & Gold team, representing Calvert Hall College, put forth a fine showing over the weekend, culminating with a blistering 13-8 romp over Navy Aquatics Club to capture first place. Getting to the finals was a little more difficult though, as it took a double-overtime effort to pull out a 16-15 Cardinal win over Pennsylvania’s Kingfish team. The Cardinals’ team is led by veteran Mike Helou, the Cards’ two-meter player. Helou is stellar at both ends of the pool, as evidenced by scoring two goals in the finals game while making several key defensive stops. Outstanding efforts by Dan Kaun in the goal and field players David Roberts, Arny and Archie Warren, Michael and Ben Brown, have lifted the Cardinal & Gold squad to new levels with their quickness, agility and strength. 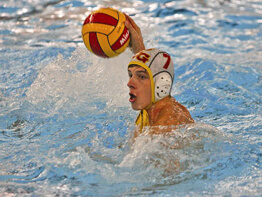 The Cardinal & Gold water polo team was established in 2001 with four high school players and has expanded over the last several years to include 35 players, ages 11-18. “This is where the kids are making their best impression as the varsity and junior varsity water polo seasons are right around the corner,” said head coach Don Anderson. If you follow water polo in the MIAA, you know that Calvert Hall is always the team to beat. With six consecutive MIAA championships under the team’s belt and four consecutive years with undefeated seasons, the Cards have racked up 43 consecutive wins since their program’s inception. That’s tough to beat and the Cards are looking even stronger this season with their well-balanced attack and steady defense. What’s even more exciting will come during the last week in July when all 14 members of the under 18 team will travel to Cupertino/ San Jose, Calif., for the Junior Olympic competition. 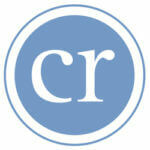 This double elimination tournament will feature 48 top teams from across the country. David Roberts has played for the Cardinal & Gold team for three years saying, “We win, it’s what we do, and going to California is going to be a great experience. I’m totally excited about this.” Roberts went on to say that the secret to the Cards’ success comes from hard work and listening to their coach, Anderson. Anderson stays true to his belief that winning teams come from a focus on fundamentals and conditioning. For the past seven seasons, Anderson has not wavered and his teams continue to flourish.